THPBlog: Sierra Pacific Industries to clearcut log near Shasta Lake. 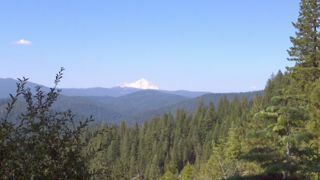 Sierra Pacific Industries to clearcut log near Shasta Lake. THP 2-13-046 SHA (Brush Creek THP) Sierra Pacific Industries, 233 acres; 99% clearcut, 1% roadside logging. Brush Creek, Slate Creek (MD: T35N R6W Sec.27, 31, 33). Winter operations, high erosion hazard, steep slopes up to 70%, herbicides, adjacent to backbone roadless area, 2 spotted owls within 1.3mi, 4 sensitive plant species, trees up to 48" dbh. Estimated public comment deadline: 10/09/13. This THP is about 10 miles west of Lakehead, CA and Lake Shasta, and the I-5 corridor at an elevation of 2,200 to 4,400 feet. Sierra Pacific Industries is planning a 233 acre tractor and cable clearcut logging operation in second growth Douglas fir, true fir and ponderosa pine. The THP area is adjacent to the backbone roadless area (Sections 27 & 33), and flows into Clear Creek which drains into Whiskeytown Lake. Unit 33A will have tractor operations on slopes over 50% that do not flatten before reaching a watercourse. Blushing wild buckwheat & Sedum Canyon Creek stonecrop were found along a proposed road in Section 27. English Peak greenbriar was found in units 33A and 33E, slender false lupine was found in units 33E and 33B, and redwood lily was found in unit 33C. This THP will remove 72 acres of northern spotted owl foraging habitat within 1.3 miles. More information is available on the THP Tracking Center website.